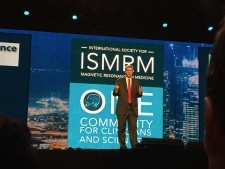 Welcome & Awards by ISMRM President Garry Gold begins at 5pm in the Plenary Hall. Lauterbur Lecture: Dr. Leon Axel will present “MRI as a Window into Cardiac Function” at 5:30pm in the Plenary Hall. Paul Lauterbur’s seminal contributions to MRI have led to ongoing progress in the evaluation of the heart. 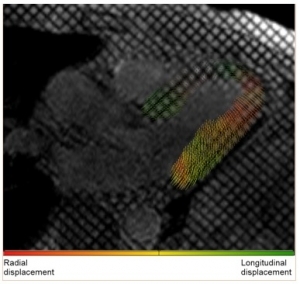 While practical challenges remain, MRI has a unique potential for multidimensional quantitative characterization of regional cardiac function. The ISMRM Opening Reception will take place from 18:15-20:00 in the Exhibition Hall, following the Lauterbur Lecture – Come and get a first look at the Corportate Exhibition! 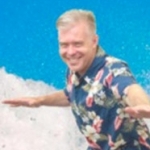 SMRT: The MRI Safety Forum not to be missed! Join Dr. Frank Shellock, Dr. Michael Steckner & Dr. Sunder Rajan in a panel discussion about implant safety testing, heating issues, and safety concerns for medical Implants in the MRI environment. Sunday, 23rd April 2017 @ 8am. Multiparametric Imaging in Cancer: How & Why: (08:15-12:05 in Room 314) will give an overview of how different quantitative imaging approaches can be utilized in oncological imaging. The talks range from how to derive and utilize quantitative information, defining normal, to radiomics. Non-Contrast Enhanced MR Imaging of the Body: Contrast enhanced imaging in the body is indispensable – except when it can be disposed of! Don’t miss Dr. Ruth Lim on Sunday, April 23 at 9:15 AM in Room 315. This includes a discussion of clinical scenarios and protocols where contrast may not be required. Fetal MRI: (by Dr. Daniela Prayer, in Room 315 on Sunday, April 23 at 14:15). Learn about this complex and developing topic, which requires knowledge of rapid imaging, fetal development, interplay of multiple major organ systems, and multi-systemic pathology. Biostatistics for Imaging Studies: You’re not alone!! – Statistical analysis in imaging studies is difficult. 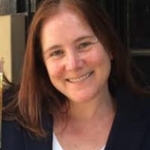 Learn about ROC Analysis and statistical considerations in assessing quantitative imaging biomarkers from 13:15-16:45 on Sunday, April 23, in Room 316 B. 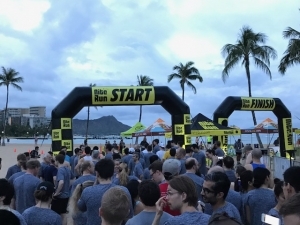 200 ISMRM members were in the First ISMRM 5km Fun Run Sunday morning near Waikiki Beach and Fort DeRussy. The Fun Run raised over $5000 for the Research and Education (R&E) fund. 5665 abstracts were accepted from 6781 submissions. 22 Power-Pitch sessions will feature some of the best overall abstracts in a 2-minute “pitch” followed by electronic poster discussion. 12 Combined Scientific-Educational programs include invited speakers to provide background, followed by oral presentations of submitted abstracts. 20 Electronic Poster Sessions and 15 Traditional Poster Sessions offer excellent 1-on-1 discussion time. 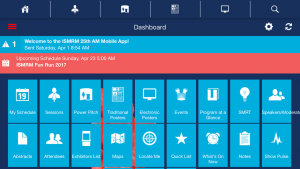 Try the ISMRM Mobile App! It has tremendous features this year including a web-based companion version to quickly input your schedule, adding events to your device calendar, linking of sessions to maps, and streamlined note-taking in Evernote. Download here. 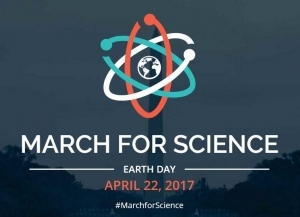 Yesterday, on Earth Day, the ISMRM acknowledged “March for Science” efforts with a rally on the rooftop of the Hawaiian Convention Center. A few hundred members braved the heat to talk at an open-microphone about ways to promote science. Recurring themes were that we ALL need to get involved in communication and policy making. We need to teach people about what we do. We need to continue to embrace diversity – gender and geographic, and to inspire young people. MR Pulse is Back! The newsletter that used to exist in print form, then online is now a blog-type channel to promote anything within the ISMRM or related to our field. Check it out at blog.ismrm.org. Looking forward to the Opening Ceremonies tonight, including the Gold Medals, Lauterbur Lecture and Opening Reception! Second day of great educational offerings. New this year: we’ve brought in two external experts for an intensive half-day on Biostatistics.